A promising amateur competitor in cross-country from his mid teens and midfield soccer player for Reigate Town and Merton Admiral were both cut short due to recurring injury which required extensive knee surgery. But it was his participation in martial arts, first as a student, competitor and eventually instructor that drove him to the world of massage. In 1999, seeking answers to the wear and tear full contact karate places on the body, he enrolled on an holistic massage course. Qualifying as a practitioner in 2001 he was persuaded by his tutor, Nicola Jenkins, to “go teach others”. In 2003 he was appointed as a massage instructor and A&P lecturer at St Mary’s University College, Twickenham. In 2004, while still teaching at St Mary’s, he was invited to join Ina Jansen in her School of Natural Therapies as A&P and business lecturer. Ina sold the school in 2009 to Marc Innes who immediately set about increasing the courses on offer by embracing Sports massage. 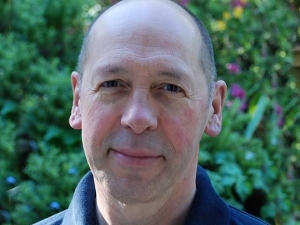 In 2012, after extensive retraining, along with Alison Dalziel, and under the watchful eye of Mel Cash, Trevor became lead tutor for the new Level 5 Sports and remedial massage course. Moving to East Sussex, he began tutoring in A&P at The Wilbury School in Brighton. In 2013 he took over the school’s Sports massage course. At the same time he became A&P lecturer and Sports massage instructor at Kingston Adult Education. With a thriving sports and remedial clinic in Sussex, Trevor left SNT in 2014. In January 2016, Trevor was invited to return to SNT to become part of the new teaching team now led by his former student, Joseph. “I can’t express how good it feels to be back at SNT with Joseph. He is an excellent course director. I find his enthusiasm and curiosity to be so infectious. Being a martial artist as well as a therapist and tutor, there is nothing more rewarding than when a student becomes the master. It is a return to the beginning. It provides the opportunity to re examine my words and teaching and share in the experiences and knowledge Joseph has acquired beyond my sphere of influence.